If your order weighs less than 13 ounces, save huge on shipping with USPS first class (with tracking number). This product weighs 5.4 oz. 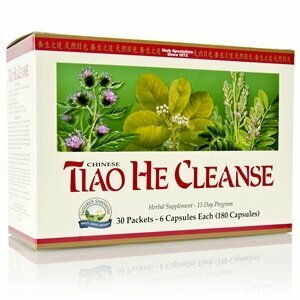 Nature’s Sunshine draws on traditional Chinese medicine in its 15-day nutritional program, Tiao He Cleanse®. 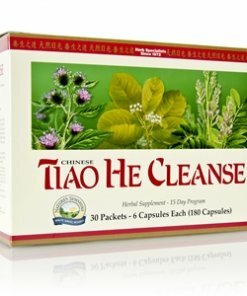 The program, intended to achieve tiao he balance and harmony, encourages the body’s natural cleaning mechanisms, specifically targeting the intestinal and digestive systems. The program consists of several key Nature’s Sunshine formulas, including Chinese Liver Balance TCM Concentrate, All Cell Detox, LBS II®, Psyllium Hulls, Burdock Root, and Black Walnut ATC Concentrate. NOTE: Because of the presence of cascara sagrada, buckthorn, turkey rhubarb, and ginseng in this product, pregnant or nursing mothers or those with a prior medical condition or those taking other medications should consult a health care provider before use. Use according to package recommendations. If diarrhea, loose stools, or abdominal pain are present or develop, cease use to prevent the product from worsening these conditions and harming health. Chronic diarrhea can turn into a serious illness. Those allergic or sensitive to inhaled or ingested psyllium may experience an allergic reaction. This product is not intended for prolonged use. Instructions: Take the contents of 1 packet 15 minutes before meals up to two times daily (for 15 days) with 8 oz. water, followed by another 8 oz. water. This should produce two or three bowel movements daily. If stools become too loose, reduce the number of packets being used. Continue the program until you have used all 30 packets. Not recommended for children.